We are an independently-owned boutique spa dedicated to creating exceptionally beautiful skin. We use only the finest, purest, organic medical-grade products based entirely on Hyaluronic Complex, a powerful moisturizer known as "the fountain of youth." We specialize in oxygen facials, LED Light Therapy, dermaplaning. micro-needling. beautiful brow design and brow tinting. We're also experts at lash tinting and lash extensions. We use cruelty-free, 100% mink lash extensions as well as synthetic mink extensions. Beyond having industry-leading products and services, we pride ourselves in offering our customers the most decadent and results-driven treatments possible. Any Honey facial also a treatment for your soul! I love what I do, taking care of those around me—I have an innate interest in the well-being of other people. The field of Aesthetics and achieving the best skin health is my passion. In my early 20s, I struggled through some tough times with my skin. At its worst I went months, unable to look in the mirror. I began seeing some of the top dermatologists in NYC in hopes they could help me, but no luck. The treatments they prescribed yielded no results and in some cases things got even worse. It was heartbreaking for me. Thankfully, before I resigned myself to just accepting and living with the problems, I started reading everything I could get my hands on. I started treating myself and eventually, for the first time, I actually saw results. My struggles turned into my passion and I fell in love with skincare, skin health and helping others feel and look beautiful and youthful. I feel so honored to have been awarded the Healing Hands Award from the top esthetician school in the country, the Euro Institute of Skincare. My extreme drive to be top of my class and to learn everything about skin health was my motivating factor. I knew that I would one day open up my own skin spa, and I wanted to strive for excellence in all areas so that I could take unprecedented care of my clients. Erin has been my right hand and partner since we opened Honey in 2011. We trained and continue all of our advanced training together so that clients can see us both and not notice any difference. We bonded over the investigation of skin and the causes/cures of skin conditions. We both believe in learning more about our clients to further help achieve their individual skin goals. Erin is also one of the top lash extension experts in Seattle. Clients come from all over to see her. Her work is impeccable! Aside from lashes, she is the brow queen—absolutely amazing at shaping and helping you to understand your brows better to get you that fuller look or hide any imperfections. I was drawn to Naturopathic Medicine during my early twenties. I was battling cystic acne, which as anyone who has had any sort of acne knows, is life-altering to say the least. This experience created a sense of urgency to understand the underlying causes and find more natural and safer remedies than what most dermatologists prescribe. This lead me to attend the Euro Institute of Skin Care, the leading school in holistic, fundamental whole body approach to creating fabulous, happy skin. My specialties include: lash lifting and lash perming. Hylunia Facials, Illuminating Oxygen Facials, LED Therapy and Dermaplaning Facials. Serving others and providing an opportunity to be a light in their lives is what drives me. 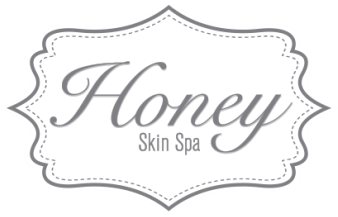 I am immensely grateful to be a part of Honey Skin Spa, and to know Megan and Erin. We are a gifted team, and I am excited to grow with them.